Have a big idea in education that you want discussed on the show? Tweet #bigideasineducation and let us know about it! 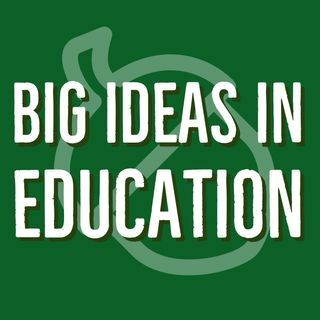 This week, the Big Ideas Team have three discussion-worthy topics for you from this week in education. First, Sarah, Mike, and Ryan discuss the increasing role of technology in homework assignments. Technology has the potential to make homework more enriching for students, but it might also be adversely affecting students who don't have the resources at home to complete ... See More tech-heavy assignments. Our hosts also discuss effective strategies for designing group projects that maximize student learning and minimize free riders on assignments. The show closes with a discussion of mental health in schools, and the innovative initiatives that some school districts are implementing to improve student wellbeing.